Right now our turn around is 10 days. 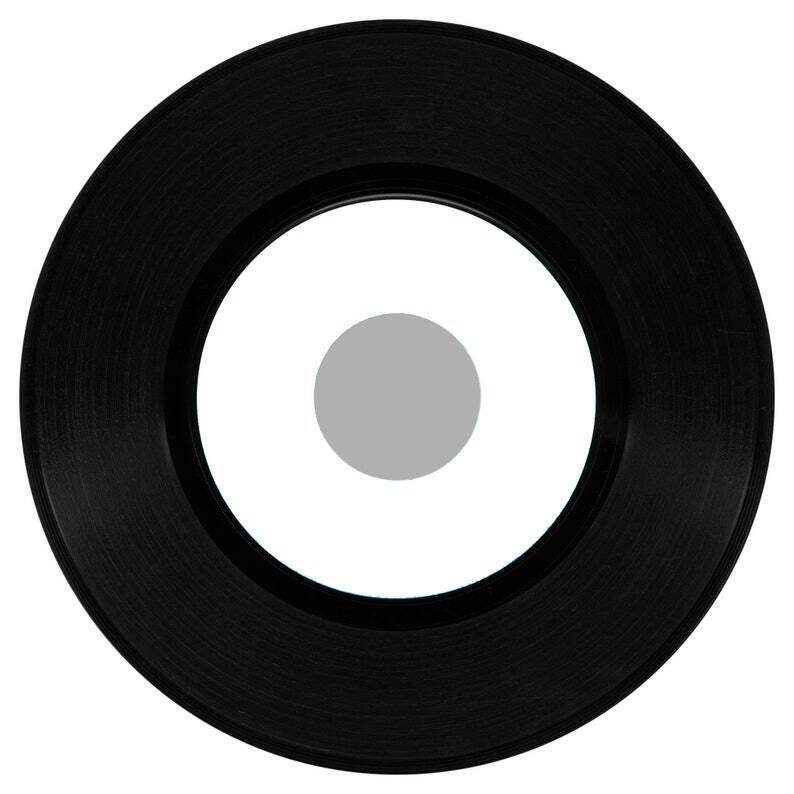 The old fashion 7" comes in clear or black vinyl or small hole or big hole. This listing is for big hole black with a choice of RPM and jacket style. Ships with Adapter upon request (see photo). Max side length for 45 RPM is 4:30 per side (9 minutes total). Max side length for 33 1/3 RPM is 6 min per side (12 minutes total). There is a two song/track limit per side. Please make sure you own legal copies of your song files. If you are in doubt we ask that you re-purchase them (Itunes preferred) prior to submitting your song files to us. We support recording artists and ask that you do too! INCREDIBLE!!! I couldn’t be happier. You did an awesome job!! The sellers were great to work with, very helpful and had a quick response time with my questions. I wish I had gotten a bigger album though. I'll definitely buy from them again!